Change is tough, scary, and resisted by many. Whether it’s something as little as changing your brand of coffee to something as life-changing as relocating to a new country or even climbing Mount Everest - metamorphosis is inevitable in both our personal and professional lives. Although inevitable, and at times holds with it feelings of anxiety, fear and discomfort, the good news is, the “change” experience can also be gradual, enjoyable and often effective. Omar Samra, the mountaineer, future astronaut and a personal favorite inspirational figure of mine explains that even climbing Mount Everest (real or metaphorically speaking), can kick start with a very simple trek. When setting his goal of climbing Mount Everest, he did so by breaking his goal down into more achievable ones by climbing other mountains until he eventually reached Everest. 1. Begin with the end in mind. Understand the vision behind the change and align yourself mentally to the change. If your company is changing its vision, strategy and values, ask yourself what is it that I can improve on that has a direct or indirect impact on the company’s vision. If the company’s new values include innovation and agility, technology adoption and turnaround time enhancements may be top on your hit list. 2. Motivate yourself. Put yourself in the right state of mind and adopt the right attitude. Be positive about the possibility of change, energize yourself and fuel your passions by challenging the current status quo. 3. Plan to change. Change is constant and is happening all around us, evaluate the changes that have happened previously and use them to help plan for future change. Are there any signs of risk in the organization? For example a change in growth compared to recent months or years. Identifying those changes early on can possibly help avert a crisis and have huge effects on the organization in the long run. 4. Implement change. Take change as an inspiring adventure to re-explore your own capabilities and professionally, your own organization. Establish set standards and goals of delivery, performance and excellence and link them with concrete actions to reap the promised benefits. 5. Collaborate. Communicate your fears and concerns to others and listen to them “empathetically” for advice and enthusiasm. If someone has been through the same change you are experiencing, there may be lessons to learn from it that could change the course of your journey for the better. So why change? Well to be frank we don’t have any control over the occurrence, but we do have a say over the outcome of that change. Prepare yourself, embrace it and reflect on it. 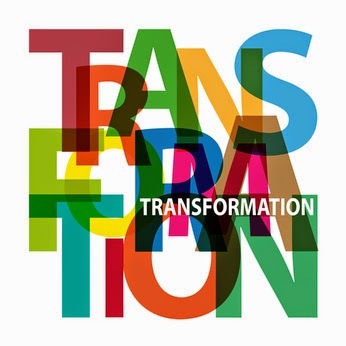 The transformation you experience may take you to new and unthinkable realms of progress that you may never have experienced if you were not open to change.